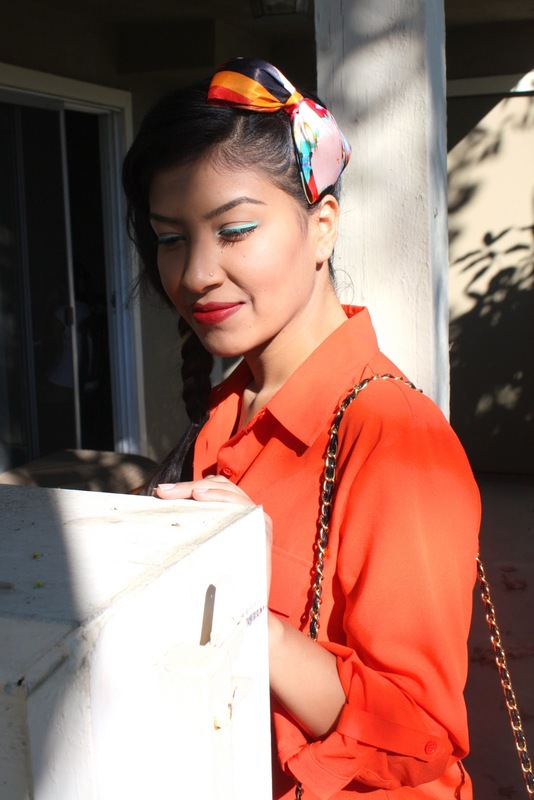 Here's the bow headband that inspired caused me to wear my turquoise eyeliner. I actually used the MUFE Flash Palette to create the eyeliner, blush, contour and lip color. This is how I act when I wear bright colors and when I listen to songs like "Follow Me"... I will provide the video below. I actually did something to my hair! I know I look super happy in this pictures, but I'm actually just laughing at my foolishness. I tried to put a window on my blog with my Twitter updates, but I failed at doing so and if you take a look you will see that there are no updates! Instead there is a blank slate there. I'm not too sure how to fix it, but I will leave it there for now. Feel free to follow me on Twitter. P.S. I am new to it. 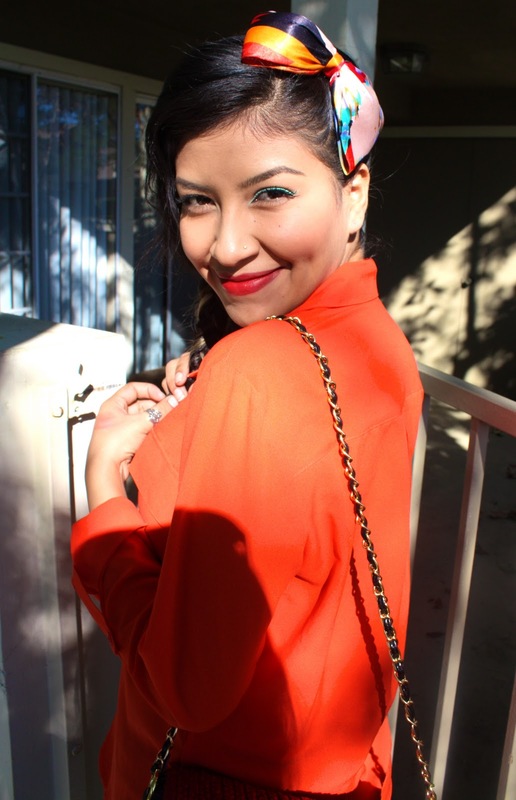 Bright colors always make me smile :) I own shirts like that in 4 colors, but seeing yours makes an orange one my next buy! ..love this hairstyle , you look adorable ! You look beautiful!!!!! I love the lipstick and the eyeliner, I don't think the make-up is matchy matchy at all! Love the handband, and it was at the $1 store? WOW!!! I love the bow. Nothing wrong with matching your make up with your clothes and accessories. guapisima! i love this post of you, first crystal fighters are really brilliant!!!! and this clip is freakin awesome! kisses to you for to posting it,) and second you took all the fabulousness of the world with this look, i love how you match your make up everytime with your outfit, and this bright orange is so gorgous! and your hair is beautiful with this cute bow and so you are! I'm loving these colors! So pretty! Especially that orange! you're so lovely! 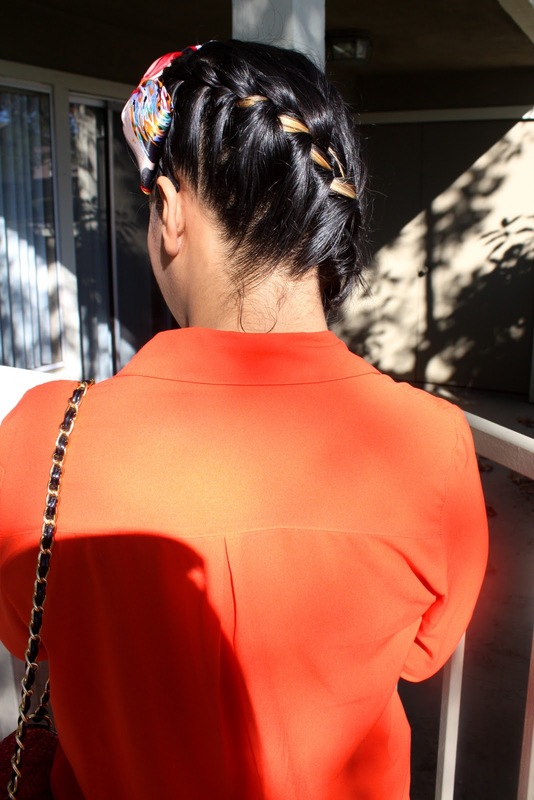 love this look, the colours, your braid and your eyeliner! thanks for your comment :) it really made my day! Love goofing around. Love how colorful these pictures are because of your smile. An the eyeliner is great!It doesnt seem matchy matchy at all. I think it looks great!Love the blouse! 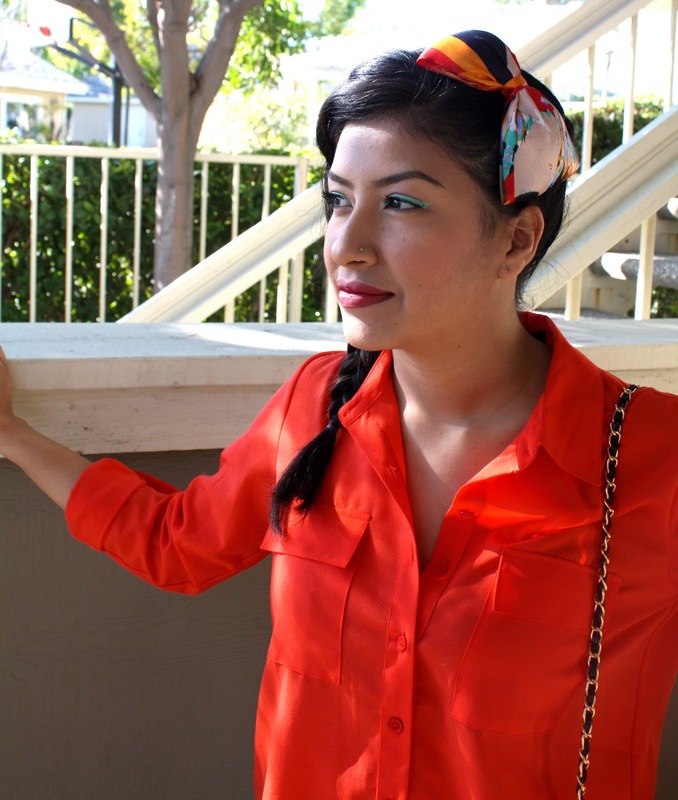 You look like a modern day Frida! That's a compliment, don't worry :) This is such a hot look, girlie. I love this look. The bow, the make up, the shirt, jeans, shoes and bag are all perfect! you look great!